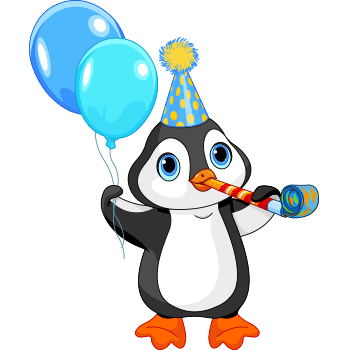 Wish a good friend a happy birthday with this charming penguin image. Its bright balloons are sure to add eye-catching allure to your post. An image can make a birthday wish even more sincere. Tell your Facebook friends where to find the coolest images around and point them in our direction.